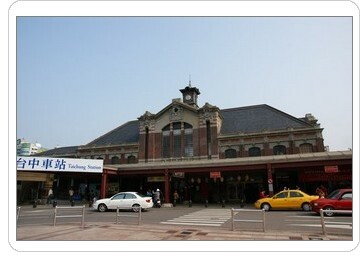 A Route 131,132 city bus comes directly from Taichung railway station to CYUT. The fare for one-way is NT$34 or 26. While 133,158 city bus comes directly from Taichung high speed railway station to CYUT.151city bus comes from Taichung City Hall to CYUT. The fare for one-way is NT$43 or 63. Taxes are also available at bus/train/THSR stations and it takes about 20 to 30 minutes to get to CYUT from these places. The contact number is available at the front desk of Administration Building. Six in-door and out-door parking lots for scooters which offer 5,777 spaces are available on campus. The "Car and Motorcycle Management Regulations" is in force not only maintain the order of traffic but also to keep the campus nice and clean. Step1: Take UBUS from the airport to THSR Taoyuan Station, this takes about 20 minutes and the fee is NT$30. Step2: Take THSR from Taoyuan to Taichung, this takes about 40 minutes and the fee is NT $590. Step3: Take a taxi from Taichung THSR station to CYUT, this takes about 30 minutes and the fee is about NT$500. You can show the message below to the taxi driver. Airport pick-up service is offered by the school before the registration day in each semester. Please fill out the application form (available at http://www.flc.cyut.edu.tw/FLC_web/) and fax or email to Ms. Denise Sun at Language Center before the announced day.